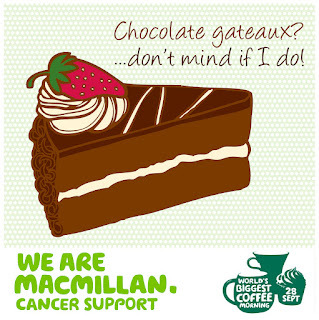 … I really want to help to raise as much money as possible for this brilliant cause, but unfortunately I am a terrible cook, so the suggested cake baking isn’t for me. 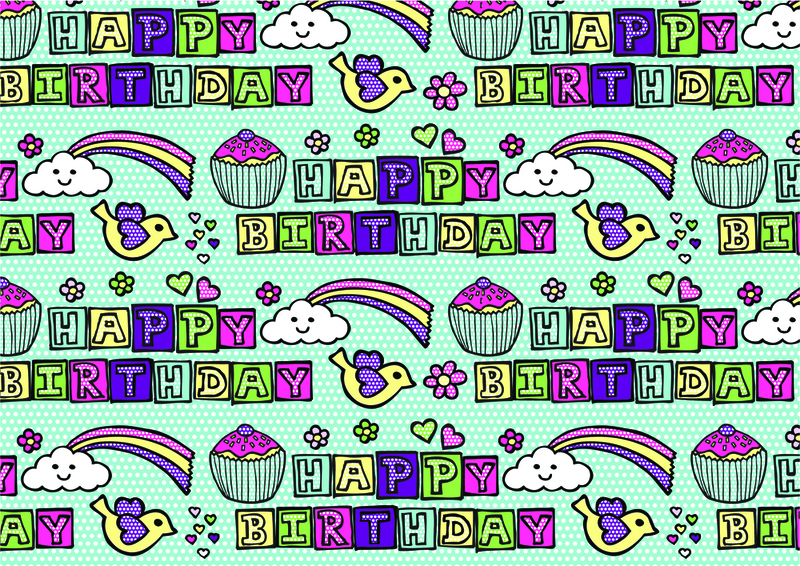 I have therefore decided to play to my strengths as a surface pattern designer and draw instead of bake! 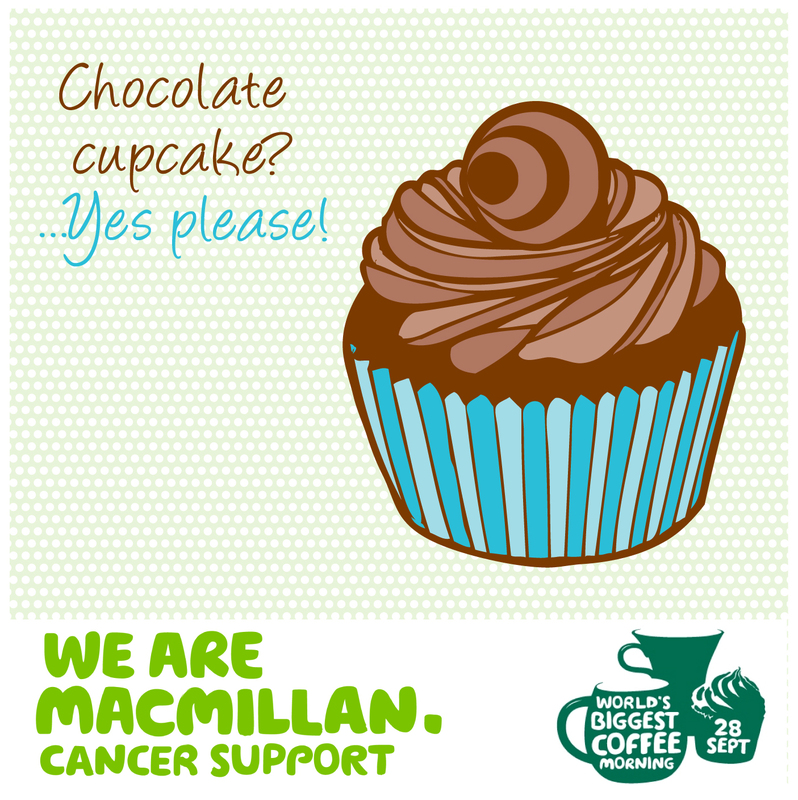 You are all therefore invited to my ‘VIRTUAL COFFEE MORNING’ and you don’t need to go anywhere… you can join in from your desks! 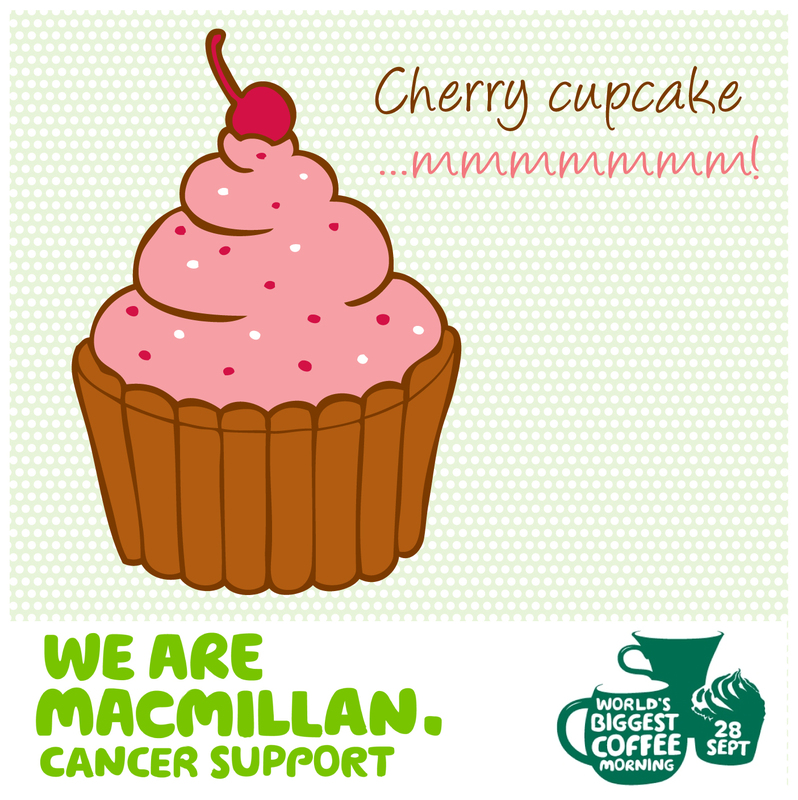 STEP 1) MAKE A MINIMUM DONATION OF £1 ON MY JUSTGIVING PAGE TO BUY YOUR ‘CAKE’. STEP 2) RIGHT CLICK ON YOUR FAVOURITE CAKE DRAWING FROM BELOW AND SAVE THE FILE TO YOUR DESKTOP. (OR EMAIL vickyyorkedesigns@yahoo.co.uk WITH THE SUBJECT TITLE ‘CAKES’ AND I WILL EMAIL THE IMAGES TO YOU). 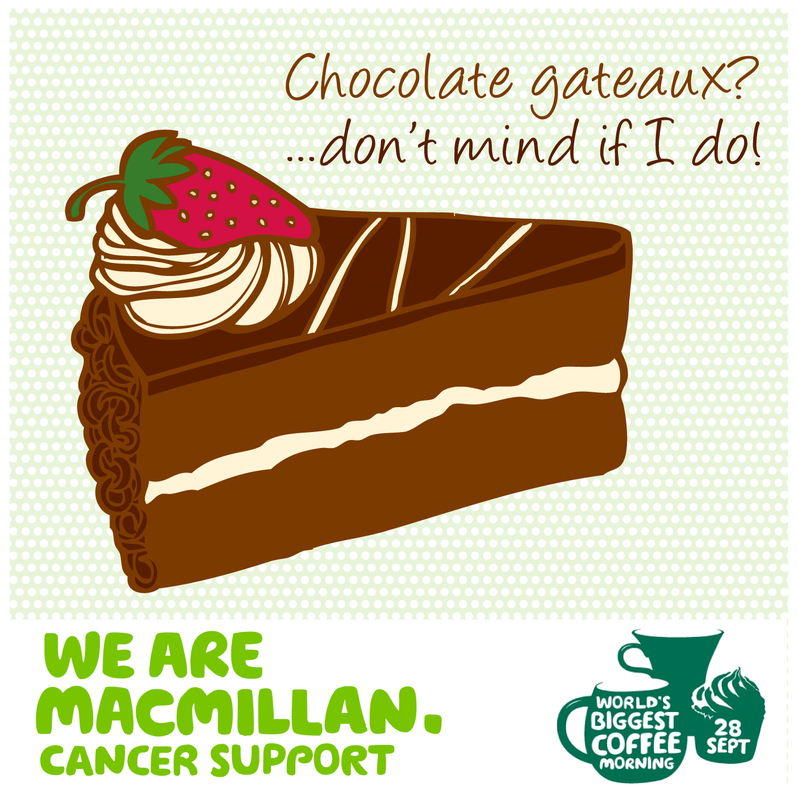 STEP 3) UPLOAD YOUR FAVOURITE CAKE IMAGE TO YOUR FACEBOOK, TWITTER, LINKEDIN ETC. 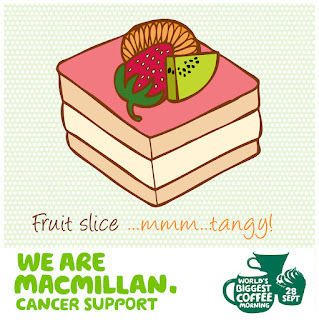 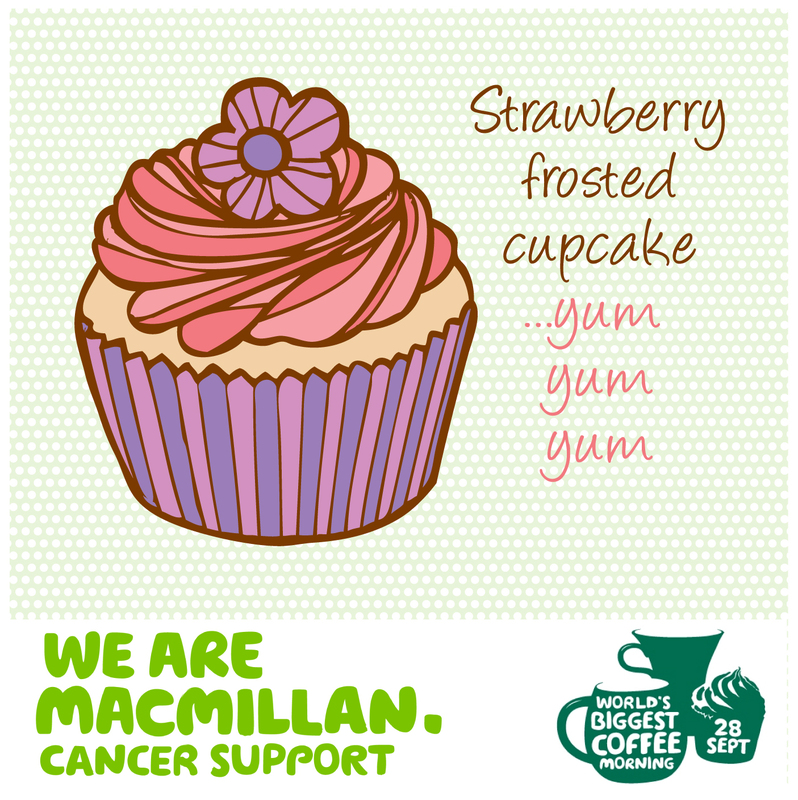 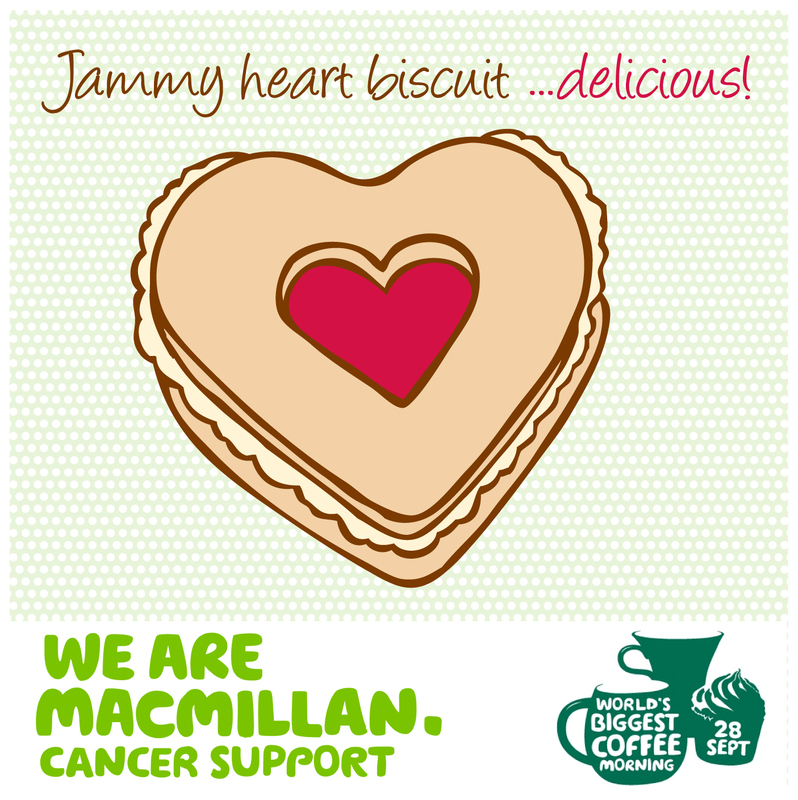 PROFILES TO SHOW YOUR SUPPORT FOR MACMILLAN AND HELP TO SPREAD AWARENESS OF THEIR CAUSE. 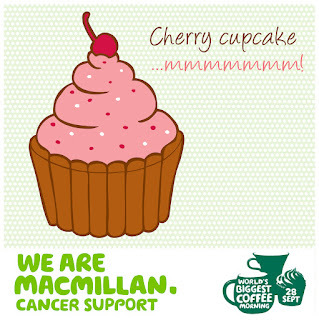 STEP 5) SIT BACK AND ADMIRE YOUR YUMMY CAKE ON SCREEN… (YOU MAY BE FEELING HUNGRY BY NOW - AND THIS EVENT CAN BE HELD IN CONJUNCTION WITH ACTUAL COFFEE MORNINGS BEING HELD AROUND THE COUNTRY – SO FEEL FREE TO INDULDGE IN THE KNOWLEDGE THAT YOU ARE HELPING THOUSANDS OF PEOPLE WITH CANCER) – THANK YOU! Many thanks to Macmillan for allowing me to use their logo. 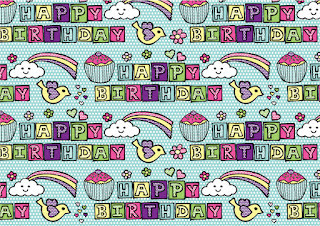 Images are copyright Vicky Yorke Designs 2012. 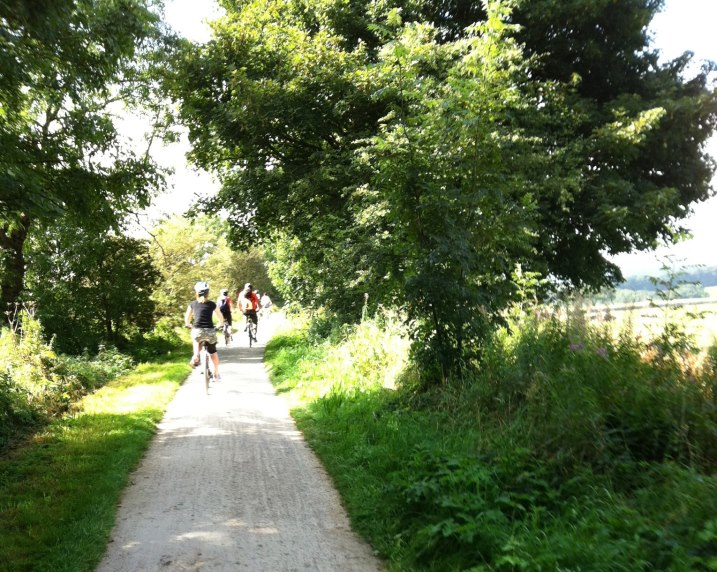 Images only to be used as described above – Not for commercial use.